Visiting Alabama’s State Parks and boating on Lake Guntersville were staples of my childhood. As I’ve travelled and experienced other public lands around the country, I’ve grown to appreciate these parks more and recognize the incredible gift from God our state parks are to us. This is why, for the last few years, I’ve been doing all I can to protect these amazing resources. The state parks belong to the citizens of Alabama, and I worked this year to write a constitutional amendment that would help ensure our parks are protected for future generations. I hope you’ll join me in supporting our parks and voting yes for Amendment 2 this Tuesday. Unfortunately, there has been a lot of misinformation spread about Amendment 2 recently. The primary goal of Amendment 2 is to ensure that park guest fees stay in the system to maintain our beautiful state parks. Amendment 2 also allows all parks the option to enter into concession agreements with businesses, which many of the parks already have the ability to do and will level the playing field by allowing that option to other parks. These private business partnerships benefit our park system. At no time does the park system lose ownership of a park or park facility if they enter into these “concessionaire” agreements. It simply gives them another option if they can’t afford to run a particular park or park facility rather than being forced to shut it down. If these private business agreements were not an option, Roland Cooper State Park would still be closed to the public today, the new ziplines at Guntersville would never have been built, the cable ski system at Oak Mountain would not be available to guests and plans for other exciting new attractions at our state parks would not be in the works. Keeping our parks open and providing new adventures so our parks system is continually meeting guest expectations is the reason it is important to vote yes on Amendment 2. Contrary to some of the information being shared around the state, Amendment 2 does not privatize the parks system and does not allow for corporations to develop on park lands. I can assure the people of Alabama, if Amendment 2 did privatize the parks or put the future of the parks system in jeopardy, I would be working to defeat it. The reason myself, our state parks staff, dozens of community leaders, conservation organizations and tourism bureaus from around the state are supporting Amendment 2 is because it protects our parks system and ensures the parks are sustainable for decades to come. The misinformation about Amendment 2 is being spread by individuals whose top priority is not supporting the parks or securing stable funding for the system. A quick Google search will bring up information that shows the real intentions and special interests behind these “park supporters” advocating against Amendment 2. They have ties to the competing developers on the Gulf Coast opposing the construction of a new Lodge & Conference Center at Gulf State park. Their motives are selfish and they’re not being honest with the people of Alabama. My record of supporting the parks is clear. I’ve been an advocate of the parks long before I entered public service and have continually stood up for the parks system in the last few years. When the parks funding was being transferred to the state General Fund year after year, I was educating lawmakers about how the parks funding operates and why transferring funds hurt the parks system. During this time where were these “park supporters?” I can assure you they were not in the state house trying to stop these funding transfers. Instead, some were actually filing lawsuits against the parks and projects that would benefit the entire system. When the parks funds were depleted and out of options for additional revenue, I joined my colleagues in sponsoring a bill to create a specialty boat tag that would bring an additional $3.5 million in revenue to the parks without raising any taxes. As this legislation was being passed these “park supporters,” the ones furiously working against Amendment 2, were again absent from the state house and were not in the communities advocating for these specialty tags or speaking with the public about a solution to the funding crisis. When the parks budget had reached a dire point and parks began closing facilities and entire parks, I was fighting for these parks and the citizens that love them. When five parks closed these “park supporters” were in court because their lawsuits against the parks were being dismissed by a judge. It’s our responsibility as voters to educate ourselves on the issues. It’s also our responsibility to research sources and understand the messenger(s) background. My background and relationship to the parks is transparent. I have three state parks in my district, I represent three counties that have part of a park within their boundaries. I have six state parks in my area that are on the line here. My interest in protecting the parks and seeing them thrive for generations is obvious from my record. I hope you will spend some time looking at the facts as it relates to Amendment 2. If you can’t take my word for it, please read the many letters of support, Facebook messages and take a look at the broad coalition who support our parks that are advocating for Amendment 2. I plead with you, if Amendment 2 does not pass I fear what the Alabama State Parks System’s future will hold based on the hard lessons we have learned from the last few years. The parks can not survive if their funding is not protected. These are not scare tactics. 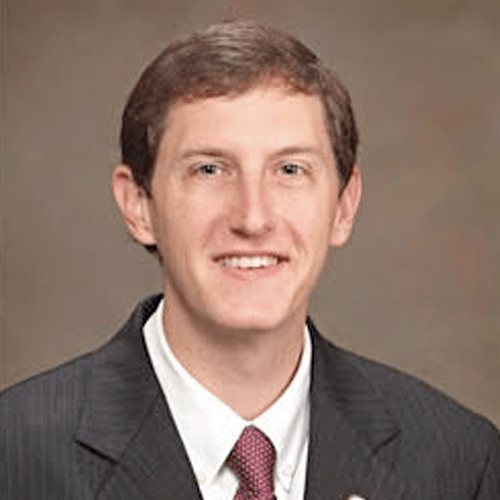 Clay Scofield is a state senator from Guntersville, Alabama. He represents the 9th district. He represents Blount, DeKalb, Madison and Marshall counties. This opinion does not include information on how this amendment will affect concessionaire contracts and the for them to co-mingle taxpayer-funded, reauthorized or refinanced within the existing state-issued bond package 617. The potential bearing on the relationship between language in Amendment 2 and existing bond package 617 is somewhat complex. Most people do not have the depth of knowledge in areas of public administration and public finance to make sense of it and many are dismissive of any concerns that state government or the park system would exploit the language to pursue new, creative financing and contracting for possible development scenarios that would include park resources……but the potential for unsuitable development that utilizes or impacts park resources is there, should Amendment 2 pass. Therefor, my feeling is the opinion above is flawed in that it does not provide a complete description of how Amendment 2 has the potential to affect existing bond package 617, created to fund state park infrastructure improvements. Additionally, our state park system’s survival is threatened not because there is anything particularly egregious or extravagant about the system. The State of Alabama’s park system is a modest one and there are many other states across the nation that competently and sustainably fund and support a state park system just like ours. The problem lies not with the park system, it has been responsibly managed for decades. The problem is with state government and it’s lack of ability or willingness to create funding to continue to properly support the system. Furthermore, the present solution proposed by Amendment 2 simply extorts the extensive public sympathy for the fate of the park system by threatening it’s demise, with an offer allow park-generated funds to remain within the system’s budget……something that state government should be doing without being coerced, but also contain the poison pill language that provides framework for co-mingling of taxpayer-funded park improvement bond money with any private development schemes that the system’s management might become interested in. In my opinion, it is the financing and contracting language within Amendment 2 that is objectionable and has the potential to encourage development of park resources that is not in keeping with the park system’s mission in serving the citizens of Alabama. Vote no on this Amendment and ask you senators and representatives to present a clean amendment that simply guarantees that park-generated funds remain within the park system budget. This is a passionate argument that sounds very sincere and I have no reason to doubt Mr. Scofield’s sincerity. I would only say, WHY did this amendment HAVE TO INCLUDE the privatization language that has made it so controversial? Wouldn’t it have had a clearer message without that language???????? This is why so many feel it is a “trick.” Sad.